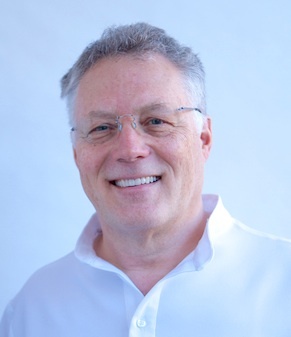 Graeme has been a dentist for the last 38 years, and has been practising in the SW1 area for 29 years, and has developed an expertise in cosmetic dentistry. He regularly attends conferences in both the USA and Europe to evaluate the latest techniques and trends and has completed many hours of postgraduate education to provide comprehensive care. Graeme has been involved with dental implants for 23 years where he has seen this discipline evolve to become a predictable and useful treatment. 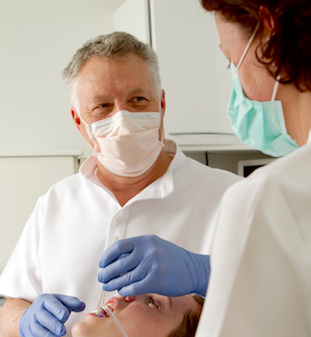 He also has been involved in orthodontics for over 30 years. As Graeme explains, “First impressions always count. And to most of us that can be shown in a person’s smile. But so many people have lost their confidence or ability to smile and are often embarrassed by the condition of their teeth”. “My aim is to make every dental restoration as beautiful and natural as possible”. Elizabeth’s role as Dental Hygienist in the practice has been continuous since 2003. 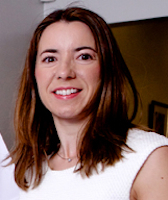 She has a significant following among the patients and is considered by many to be one of the best hygienists in London. Her professionalism and considerable experience make her an invaluable asset to the practice. Not only is Liz conscientious in her care and motivation of her patients to achieve and maintain a high standard of oral care, she has a lovely wit and sense of humour which can be a balm to those dental fears we all are prone to experience. Liz began her dental career with the New Zealand School Dental Service, established to provide preventive and restorative dental treatment for all New Zealand children aged 2-18 years. Liz developed a special rapport with her young patients which continues today. The children always find being treated by her a happy experience which sets a positive path for their future dental health. It was this experience with children’s dentistry which promoted her belief and dedication to dental hygiene, the essential prevention of dental disease and early detection of oral cancers. Daisy is available at The Beresford Clinic on Wednesdays and alternate Mondays. She qualified as a Dental Hygienist and Therapist from King’s College Hospital London in June 2015. This enables her to carry out a range of both periodontal and restorative treatments. Daisy’s passionate and enthusiastic approach ensures that she provides tailored treatment for each individual. She will work with you to help find the most effective way to maintain a healthy mouth. A smile is one of the first things people notice- Daisy firmly believes that having a clean and healthy mouth not only improves ones confidence but is also an essential part to having an overall healthy lifestyle. Daisy is an up-beat, bubbly, friendly person. Outside of the dental surgery she likes to keep herself busy spending time with her friends and family enjoying art and travel. Silvia has been working with Dr Beresford since 1990 and as well as being a registered dental nurse, is the manger of The Beresford Clinic. 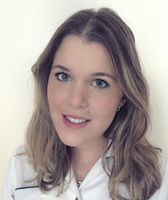 Silvia feels passionate about her work, whether as a manger or as a dental nurse and if one asks her what she most loves about it, she will tell you it is the privilege of meeting such marvellous patients and being able to make them smile. 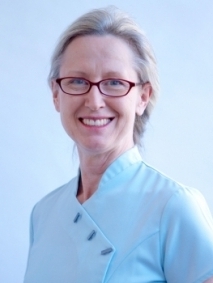 Monika has been with The Beresford Clinic for seven years and has twelve years experience in the dental profession. 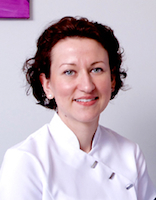 As well as being a registered dental nurse, Monika also has Polish qualifications as a dental hygienist and dental technician but enjoys being a dental nurse.